Professional car detailing includes a whole series of working steps inside and outside the vehicle and aims at bringing the car optically close to its ex works condition. It is therefore obvious that above all, we must focus our attention on exterior cleaning. A shining paint, deep black tyres and clean screens give a neat impression and make the vehicle owner as well as prospective buyers happy. In this article, we have summarised the working steps to be completed during professional car detailing and the products that play a role in the process. In so doing, the sequence only plays a minor role. It is more important that in the end, you recuperate a vehicle that catches your eyes from far through it’s cleanliness and shiny look. 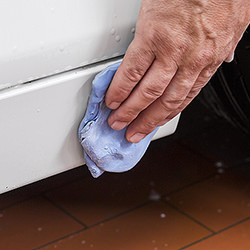 Though most commercial providers always start car detailing with in-depth pre-cleaning which eliminates coarse dirt, a thorough wash should not be done without in the following exterior cleaning. Most of the time, a high-pressure cleaner is used here to which an appropriate cleaner has been added. For hand wash, it is recommended to use a car shampoo which removes the dirt and also loosens stubborn impurities. Besides, the advantage of hand wash is that the specialised personnel detects conspicuous dirt and can purposefully eliminate it. After this working step, your car is basically as clean as after a conventional drive through the car wash station. However, a series of detailed steps will follow in car detailing. Rims are often times very important for the look of a vehicle. For good reasons, there are so many different high-quality rims in steel, aluminium or chrome event though the actual function of the rim is very simple. Still, aesthetics simply play a big role. Car detailing providers are also aware of this and pay particular attention to each rim. 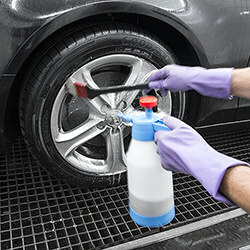 A special rim cleaner loosens common road dirt that is then hosed-off using a high-pressure jet. 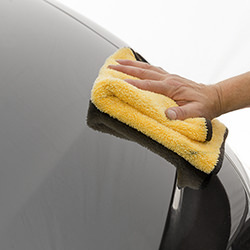 If necessary, some spots must still be washed manually in case particularly stubborn dirt is nested in the rim. 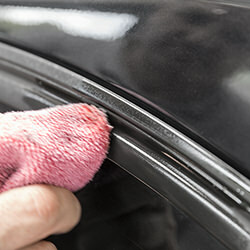 After drying, the rims are sealed with a rim polish so as to be protected from grit abrasion and weather in the future. Vehicles display very special contaminants that one can only clean using specific cleaners. These include tar stains, dead insects and rust film. If these impurities have not yet be eliminated during pre-cleaning or shampoo wash, the car detailing specialist must try other resources. For instance a tar cleaner, an insect remover and a rust film remover can help get rid of stubborn stains. Of course, one should always make sure in the process that underlying materials are not damaged. Particularly on painted surfaces, it is imperative to be very careful and not to work with too much pressure. However, thanks to their special formula that adjusts to the type of soiling, special cleaners help avoid using too much mechanical effective force. For professional car detailing, it is not enough if the vehicle is clean and neat from the outside, Particularly the paint must be protected and treated with special care using a polish and a sealing wax. To eliminate small scratches and weathering, every professional likes to use an intensive abrasive polish. 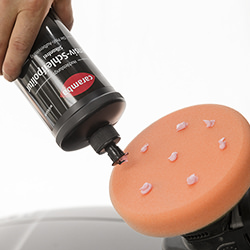 This highly abrasive paste helps to effectively remove paint blemishes and the known grey-haze that settles particularly on the paint of older vehicles. Subsequently, the effect is preserved using an abrasive polish finish or a similar sealer and at the same time, a protective film is generated which cannot be easily penetrated by wind and weather. Furthermore, an important effect of the process is the special shine which optically improves the value of the vehicle. In addition to manual polishing, many providers use so-called machine polish and also polish the vehicle with special polishing machines. The latter distribute the abrasive polish using rotating or orbital movements with sometimes very high revolution. During car detailing, these machines often help attain impressive results since machine polishing helps eliminate all defects and unevennesses from the paint. Nevertheless, the use of such machines requires some experience and should only be done by professionals. 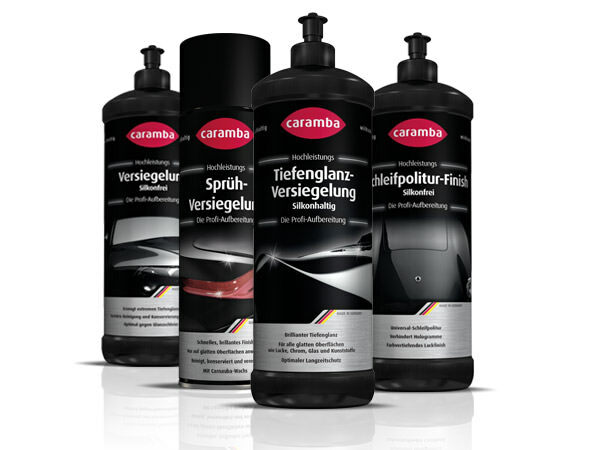 In connection with the abrasive polish the high revolutions can generate very high temperatures which can damage the paint in case of inexperienced use. Therefore, let professional providers do the machine polishing for car detailing. Shiny wheel rims show off all the more when the tyres display a deep and strong black. During car detailing, this is obtained using a tyre foam. Not only are the tyres cleaned, but they also receive a protective film and are maintained in a sustainable manner. Besides, tyre foam stops the tyres from bleaching and prevents crack formation and embrittlement. In addition, the special formula protects from UV irradiation and weathering effects and additionally provides the deep black that gives the tyres great looks in interaction with the rims and the paint. 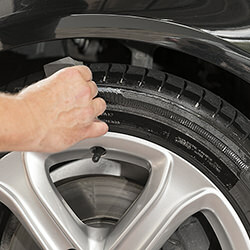 Your tyres will look new if you trust true professionals with your vehicle,. 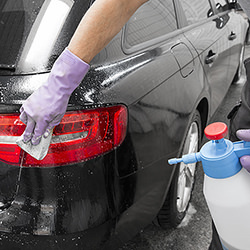 They will bring your vehicle back to a shine using the appropriate cleaning products. Whoever wants to drive safely and comfortably needs the right view. Clean streak-free windows are the prerequisite for driving without light breaking and blurred field of vision. 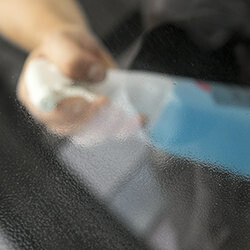 During car detailing, all glass panes are cleaned using a high-quality windscreen cleaner. It removes dust and soiling and restores good vision. Professional windscreen cleaners do not leave streaks and stripes. On the contrary, special ingredients make sure that rain and splash water can run off better letting you drive safely down the road. Of course, the same cleaners are also suitable for the outside mirrors, which should always be clean not only from the aspect of safety but also because the shiny look is simply appealing. Paint care is very important in car detailing. Many detailers therefore offer additional services to seal the paint at even a greater quality level. Quite a range of products is available in the area of sealing. Deep gloss sealer, for example, provides especially long-lasting and a rich deep gloss and is suitable for most types of paint. A wax-containing spray sealer, on the other hand, focuses on a shiny and bright finish and is even ideal on smooth unpainted surfaces. Certain products may be more suitable for particular types and colours of paint. If in doubt, best consult the professional. Providers of car detailing are professionals who know how to help your vehicle, too to shine at its best.